Ordnance Factory Board [OFB], comprising of 41 units engaged in the manufacturing of diverse products, is the oldest and largest defence production organization in India. It is a forerunner of ‘Make in India’ initiative by the government in defence manufacturing. OFB manufactures the entire weapon system platform – along with its ammunition and related accessories. Remarkably, OFB has achieved 85% overall indigenization. Moreover, OFB has developed the indigenous defence industrial complex in the country by nurturing about 11,000 vendors keeping import substitution as OFB’s working mantra. 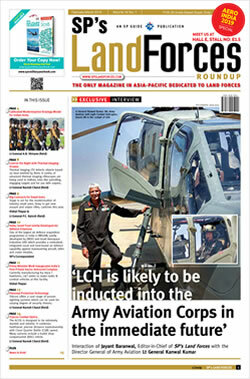 Along with Indian Army, OFB caters to the needs of CAPFs, Air Force and Indian Navy. Further, with changing demands of time, OFB is also diversifying its product portfolio and expanding its base in the international export market as well as domestic civil trade sector. Research & Development [R&D] is being cultivated at OFB in a structured manner since 2006 with the establishment of 13 Ordnance Development Centres (ODCs). With the assistance of premier academic institutions like IITs at Mumbai, Kanpur and Kharagpur, to name a few, the Ordnance Factories are not only upgrading existing products but also developing new weapon platforms. OFB has taken up R&D projects in the domains of Product Development/Upgrade, Indigenisation, Import substitution and Process Development. 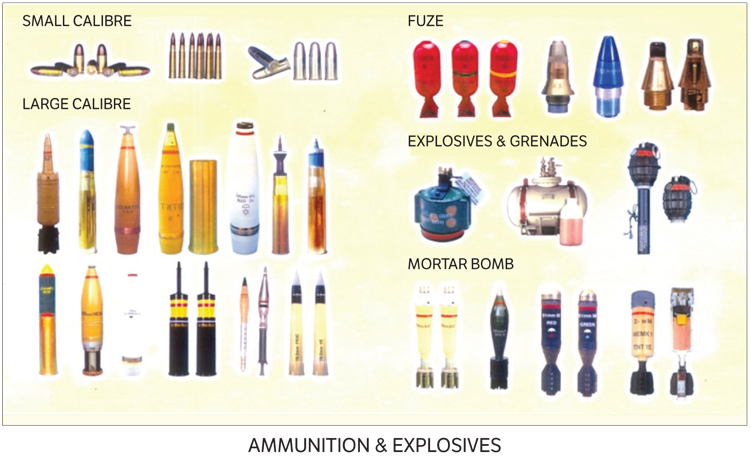 OFB has developed major weapon platforms, arms and ammunition and approximately 22% of the turnover of OFB is from products developed indigenously by Ordnance Factories. 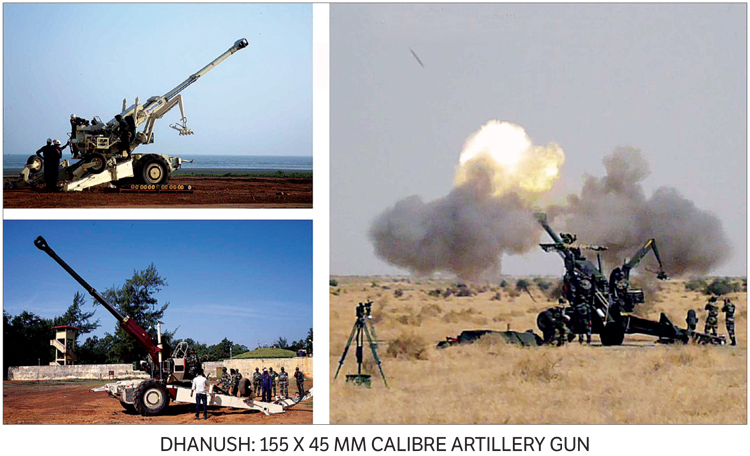 The major products developed through in-house R&D are 155mm Artillery Gun ‘Dhanush’, Up-gunning of 130mm Artillery Gun to 155 mm x 45, Mine Protected Vehicle (MPV) and Modernised Mine Protected Vehicle (MMPV), Bi-Modular Charge System (BMCS) for 155mm Artillery Ammunition, 7.62 x 39mm Assault Rifle ‘Ghatak’ among others. 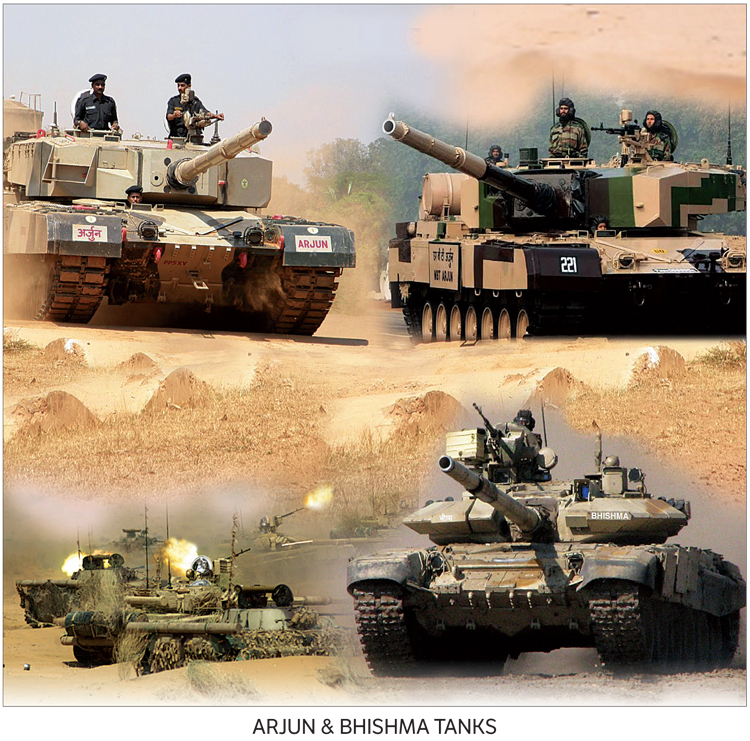 OFB is presently developing Upgraded BMP-II, Futuristic Infantry Combat Vehicle (FICV), Air Defence Gun and 155mm x 52 Cal Mounted Gun System and related ammunitions and Electronic Fuzes. Besides catering to the forces, OFB is also meeting the requirements of advanced technological materials for research establishments like ISRO, DMRL, NFC and others. OFB – a “Complete Combat Solution Provider” for the Indian Armed forces is further emerging as key player in the globally-competitive defence industry. 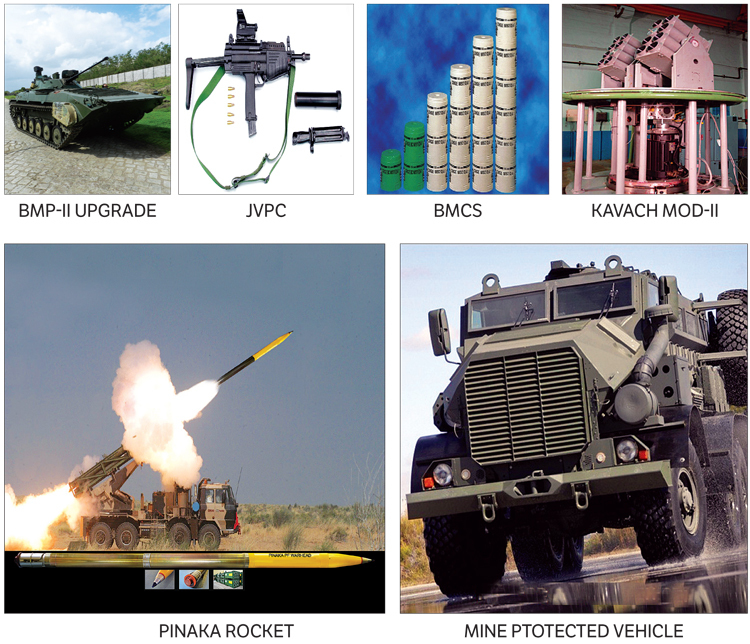 OFB’s target is to produce technologically superior military equipment at competitive price fulfilling the aspirations of the customers.